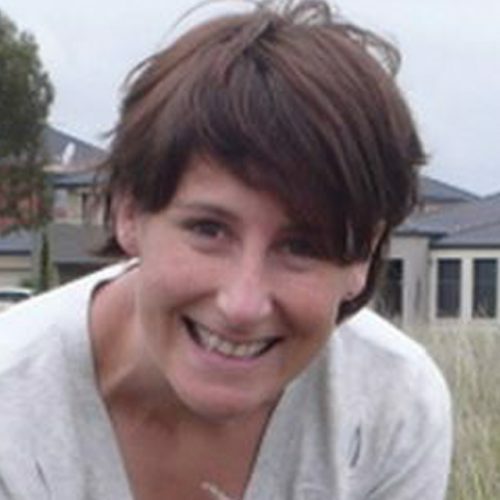 Georgia Gerrard is a Research Fellow with the Interdisciplinary Conservation Science Research Group at RMIT. She is a quantitative ecologist and has worked on projects related to imperfect detectability and informative Bayesian priors in ecology. She is currently working on a project investigating better planning for biodiversity in the urban fringe; one of four native grassland projects funded by The Myer Foundation. This project aims to address incompatibilities between native grassland conservation and urban development in Melbourne, by improving prospects for grassland conservation within housing developments, and investigating alternative urban development scenarios that mitigate impacts on existing grasslands. Her research interests also include the use of science to inform environmental policy, adaptive management and structured decision making. More information on her past and current research activities, can be found on her research blog and the Interdisciplinary Conservation Science Research Group website. Urban biodiversity, conservation, Planning and biodiversity in urban environments, Native grassland conservation, Adaptive management, Structured decision making, Quantitative and applied ecology. Creating sustainable cities that are good for people and good for nature. How do Melbourne’s green spaces support insect biodiversity and promote ecosystem health? Aside from benefits for people, cities are often hotspots for threatened species and are justifiable locations for serious investment in nature conservation for its own sake. A network of street lighting links these “islands of illumination”. The effects of this can, in some large cities, result in “sky glow” that interferes with star visibility at distances of more than 300 kilometres. Research on biodiversity conservation in cities by two urban researchers has been recognised by the Banksia Foundation for its excellence in sustainability practice. When Europeans first saw Victoria’s native grasslands in the 1830s, they were struck by the vast beauty of the landscape, as well as its productive potential. Researchers from RMIT received funding to deliver innovative, impact-associated research from the latest round of the Australian Research Council (ARC) Linkage Projects scheme. Ecological gems have been uncovered in Melbourne’s parks during a campaign that involved “citizen scientists” capturing and recording the city’s biodiversity. Temporary pop-up parks and green spaces have long been considered the playthings of the inner-city hipster.